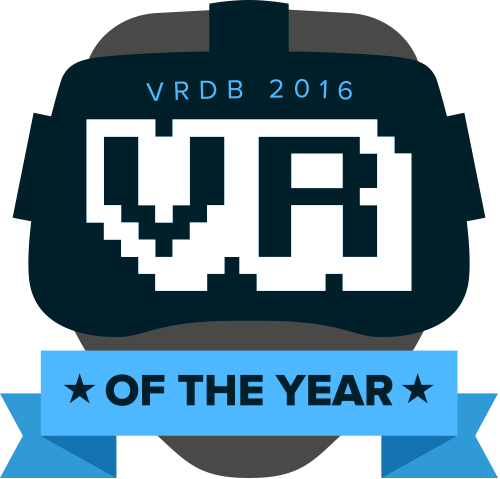 Welcome to the inaugural 2016 VR of the Year Awards! The biggest celebration of VR for developers and players, with the years finest chosen by you and us. For the next 4 weeks it is up to you to vote for your favorite VR games so that they may make the top 50 which will be announced on the 11th of December. It's been an incredibly exciting year for VR. With many great titles grabbing the eyes of thousands of keen VR enthusiasts, it's anyone's guess who might be crowned our inaugural champion. Will a solid foundation for Minecraft help its VR update transcend the pack, or perhaps the vertigo-inducing games such as The Climb, Eagle Flight and the out-of-this-world ADR1FT be strong challengers? Will the release of new controllers like the Oculus Touch elevate the year’s latest releases in new and exciting ways? It's been a tremendously exciting year for VR and we look forward to seeing who will be crowned our inaugural VR of the Year winner by climbing the virtual ladder in 2016! Nominations are on and there are hundreds of VR games to vote for right now! Only the best will make it through to the next round and we need your help finding them. Check out the years headlines, or what's hot right now for information about all the big 2016 releases. We've counted your nominations and narrowed the field to the top 50! Time for a further 10 days of intense voting to begin on the top 50 page. At the end of this we shall be crowning the 2016 VR of the Year and the 2016 Editors Choice. Don't forget to vote for your chance to win games from the Mod DB #modlove collection.